When Maiden is revived in hospital after dying in a hit and run incident, his memories are not the familiar ones of bright lights and angelic music, only of a cold, harsh place he has no wish to revisit...ever. But his experience means that Bobby Maiden may be the only person who can reach The Green Man, a serial murderer who returns to stone circles and burial mounds in the belief that he is defending Britain’s sacred heritage. It is 1560, and Elizabeth Tudor has been on the throne for a year. Dr John Dee is her astrologer and consultant in the hidden arts…a controversial appointment in these days of superstition. Now the bookish Dee has been sent to Glastonbury to find the missing bones of King Arthur. With him is his Robert Dudley, a wild card…and possibly the Queen’s secret lover. The town is still mourning the gruesome execution of its abbot, Richard Whiting. But why was he killed? In Herefordshire's hop-growing country, a converted kiln is the scene of a savage murder. When the local vicar refuses to help its new owners cope with the aftermath, Merrily Watkins is sent in by the Bishop of Hereford to defuse the situation. Merrily, however, is already contending with a woman's claim that her daughter is possessed by evil. In both cases Merrily remains unconvinced, but nothing is ever quite what it seems. Brilliantly narrated by Sean. Brilliant storyline. Who is stalking Seffi Callard, the world’s most fashionable spiritualist medium – now a paranoid recluse at her father’s Cotswold home? Her old mentor Marcus Bacton, editor of an ailing journal of the paranormal, sends his assistant Grayle Underhill to try to establish the truth, unaware that he’s thrusting them both into a nightmare. Glastonbury, legendary resting place of the Holy Grail, is a mysterious and haunting town. But when plump, dizzy Diane Ffitch returns home, it's with a sense of deep unease - and not only about her aristocratic family's reaction to her broken engagement and her New Age companions. Plans for a new motorway have intensified the old bitterness between the local people and the 'pilgrims', so already the sacred air is soured. Leo Defford doesn't believe in ghosts. But as the head of an independent production company, he does believe in high-impact TV. Defford hires journalist Grayle Underhill to research the history of Knap Hall, a one-time Tudor farmhouse that became the ultimate luxury guest house...until tragedy put it back on the market. Its recent history isn't conducive to a quick sale, but Defford isn't interested in keeping Knap Hall for longer than it takes to make a reality TV show that will run night after night. A house isolated by its rural situation and its dark reputation. Seven people, nationally known, but strangers to one another, locked inside. But this time Big Brother may not be in control. Mr Rickman has done it again with this absolutely fabulous crafted story. So many hints, clues and edge of seat moments. Grayle, Cindy, Marcus and every other character is totally believable. 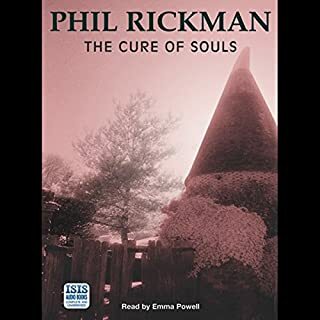 I'm NEVER stepping foot/mind, in a haunted house again....unless it's another thrilling adventure written by the evocative Mr Rickman. Sean Barret's narrative is just so good. He was born to bring Grayle, Cindy, Marcus, Andy and Bobby alive. I missed Bobby in this one. More, more, more, please Phil. Big Brother in a haunted house, or Big Other as the show runner named it. 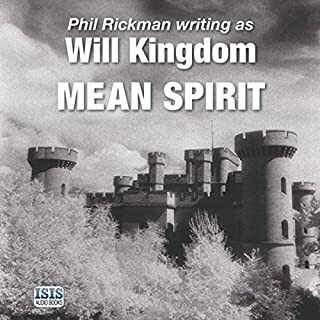 If this is your first book by Phil Rickman then I would suggest going back and reading the first two books he previous wrote under the name Wil Kingdom that tell the backstory of a few of the characters. However, I think you could enjoy this story without having read the first two. Grayle is a journalist with a background of a column she wrote in the US about various areas of spirituality, especially of the New Age sort and having worked to keep afloat a magazine in Great Britain owned by Marcus Bactin called The Phenomologist. When this story opens, the wonderfully grumpy Marcus has given up his magazine and is now writing his magnum opus, a book on the supernatural. Grayle is working as a stringer for a struggling regional press service. When she is offered a job as a research for a Big Brother like program to be set in a haunted house it appears to be the answer to everyone's prayers except hers. Grayle yearns for journalistic credibility, which it seems that being a researcher for the Big Other is not going to grant her. The original center of the story is a house owned by the remaining member of a celebrity couple and that was once offered as a very upscale hotel where the guests paid to be cosseted in a Tudor atmosphere without the Tudor discomfort. 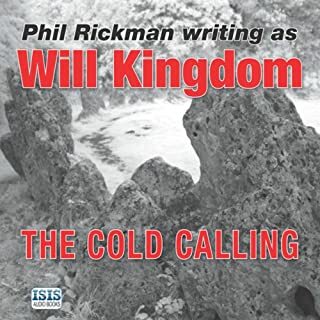 Add the story of one of Henry VIII's wives, a Welsh cross-dressing shaman and ventriloquist, a group of (mainly) has been celebrities and the story is set up for another really good story by Phil Rickman. As for the narration-- ok Sean Barrett is no Emma Powell (the narrator of the Merrily Watkins books) but he has almost toned out all of the original New Jersey accent he gave poor Grayle in the first book-- seriously, she's a daughter of New York intelligentsia, not from the Jersey Shore. I do like his voicing of the other characters though and would look forward to more books in this series. So what happened to Bobby Maiden, the policeman who had a central role in the two earlier book? He isn't here at all although there are a couple of references.. Started out well, but it did not hold my interest. Found my mind wandering. Maybe too many characters, I would have to listen to it again to get the full effects. Mr. Barrett's narration is the only reason I finished this book. It got quite tedious in places, which is not the aim of any ghost story, I'm sure. The writing itself is quite good, as always, but there was just too much of it. What would have made Night After Night better? It was hard to follow. Lots of side story lines. Just didn't like it. Some of the accents were hard to understand. Excellent telling of a multi-layered story where nothing is as it first seems. Loved it. I really enjoy the authors intelligent use of the supernatural which he handles with respect & insight. The characters feel like old friends and I hope they will be appearing again. 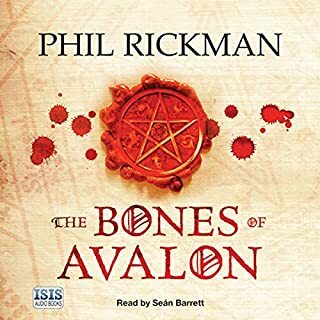 A compelling listen which I would recommend to any one who enjoys good story telling with a supernatural under current . Welcome back, after long years of waiting! What made the experience of listening to Night After Night the most enjoyable? A great reader, plus a great book - what could be better? What other book might you compare Night After Night to, and why? What about Seán Barrett’s performance did you like? 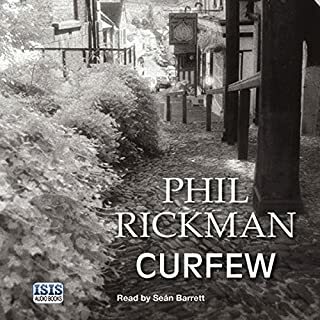 Sean Barrett (to me), is an inspired choice of reader for Phil Rickman's non "Merrily" books, he has the ability to take you out of yourself and right into the book. Definitely! You hear people talking about "un-put down-able books", but this was the ultimate listen - made more so by the reader! This is the 3rd book in the Grayle, Cindy & Marcus books, finally written and published after a break of quite a few years. It was well worth the wait and I hope there will be more to follow! Narrator superb, brought out characters. Story Layered and unexpectedly surprises you. Very satisfying and highly recommended, both in the story and the rendition. Where does Night After Night rank among all the audiobooks you’ve listened to so far? The best for a while - and I've been listening to some pretty good stuff. Cindy - for the same reasons that he's probably everyone else's favourite character. Have you listened to any of Seán Barrett’s other performances? How does this one compare? Yes, you always know you're in good hands when he's the narrator. Yes, I would have like to, but life gets in the way! 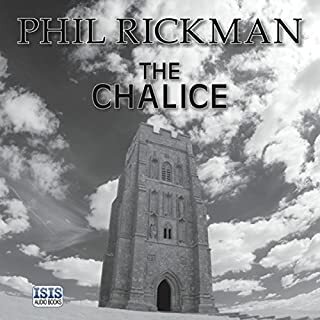 I now want to read all of Phil Rickman's other books. It could read like a latest stunt that tv producers would pull..oh wait...they have.. It's called celebrity haunted hotel. Did they pinch the idea from this fab book. A must read and a must listen. Fantastic story ..more with Cindy and Grail please. 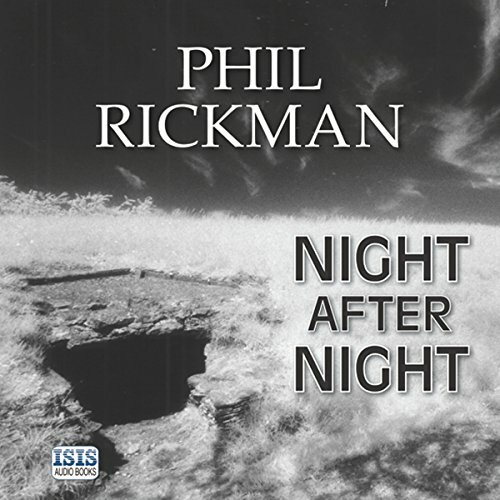 Although I've enjoyed other titles from Phil Rickman, I found it difficult to remain engaged with this one. I frequently had no idea what had just happened, apparently something quite significant and then it's all over. The narration is superb and some characters familiar from other novels and the concept is great. In short, it droned on in places, naturally one switches off and miss a crucial part of the book. I may attempt to listen to it again some time. I have always loved listening to Sean Barret's performances, but his American accents in this are embarrassingly off the mark, and given that so much of the story is narrated by an American character it's an odd choice of narrator. He's still my favourite narrator though. The story is also very slow to get going and I couldn't bring myself to care really. I'm sure that I will find parts that I missed first time in being caught up with the story. I'm going to buy another book by this author and see if they all keep you gripped as this one did.